Do you love rocks? The Friends have a great event for you! On Saturday, Oct. 25 we are hosting a Geoheritage Tour as a fundraiser for Friends activities. 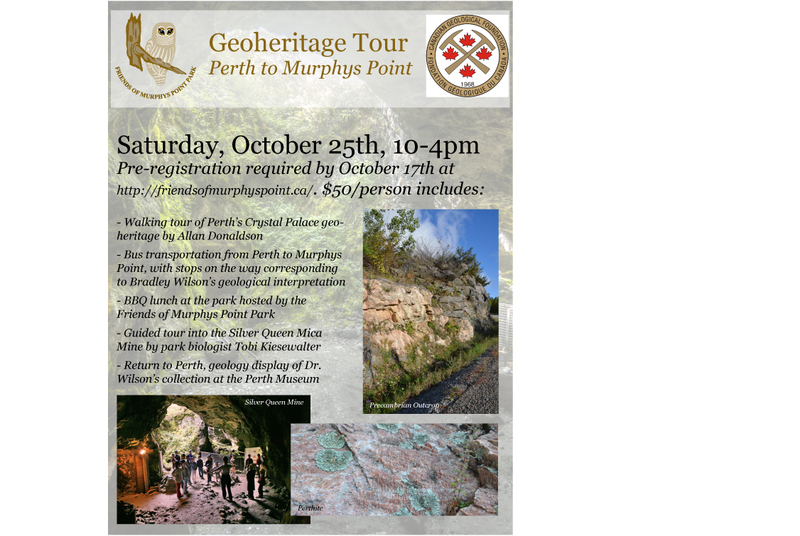 It starts in Perth at the Crystal Palace/Tay Basin (click here for a map) to explore the geological features at that site, followed by a bus trip to the park with stops of geological interest along the way, lunch at the Lally Homestead and a tour of the Silver Queen Mine, all guided by those-in-the-know as far as rocks go! (See below.) Tickets are $50 per person and will be held for you. To book your ticket, click here. Pre-registration is required by noon on Oct. 22 and space is limited. Please support the Friends! If you have any questions, e-mail us at friendsofmurphyspointpark@yahoo.ca. Hope to see you there! 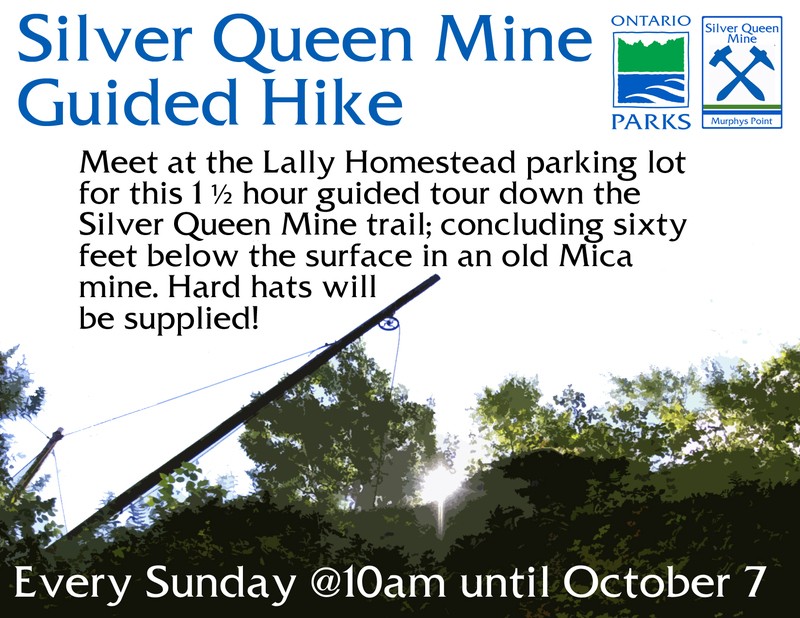 This entry was posted in Friends of Murphys Point, Geology, Lally Homestead, mica mine, Murphys Point, Silver Queen Mine and tagged Friends of Murphys Point Park, Geology, Lally Homestead, Murphys Point, Murphys Point events, Murphys Point Provincial Park, Silver Queen Mine. Bookmark the permalink. 1 Response to Calling all geology enthusiasts!